Now, as a matter of law, Sessions wasn't fired. The president asked him for his resignation and Sessions agreed. That matters, because if Sessions had made Trump fire him, some restrictions would kick in that might make killing the Mueller investigation more difficult, if the president ends up going that way. In other words, Sessions' last official act as attorney general was one more act of unrequited loyalty to the boss. Trump talks a lot about loyalty. He says it's very important to him. A few months ago, he suggested it should be against the law for people facing criminal charges to "flip" on their bosses. This was in the context of his former lawyer, Michael Cohen, reportedly considering doing exactly that. In Trump's best-selling book "The Art of the Deal," there's a fascinating passage about his mentor, infamous lawyer/fixer Roy Cohn. "He was a truly loyal guy," Trump wrote. "It was a manner of honor with him." He went on: "Just compare that with all the hundreds of 'respectable' guys who make careers out of boasting about their uncompromising integrity but have absolutely no loyalty. ... Roy was the sort of guy who'd be there at your hospital bed long after everyone else had bailed out, literally standing by you to the death." But it was a one-way street. When Cohn contracted AIDS, "Donald found out about it and just dropped him like a hot potato," Susan Bell, Cohn's longtime secretary, told Politico. "It was like night and day." Trump literally and figuratively wouldn't stand by the man who would've stood by him. Sessions was the first senator to endorse Trump, at a time when doing so was still a considerable political risk. He campaigned for Trump. He defended Trump's most controversial statements -- about immigration, about Hillary Clinton, etc. 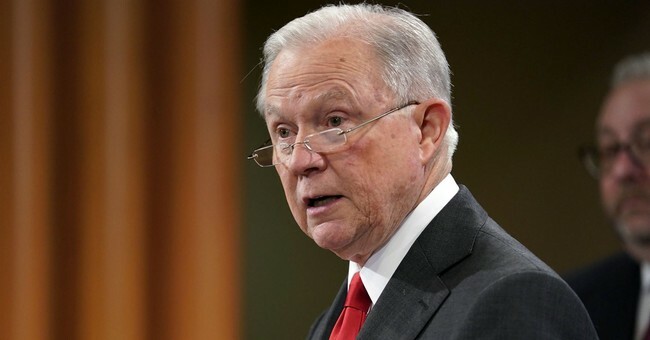 A longtime advocate of restrictionist immigration policies, aggressive law enforcement and the drug war, Sessions saw in Trump a real opportunity to get his preferred agenda implemented. And, as attorney general, Sessions more than any other Cabinet secretary put policy meat on the bones of Trump's rhetoric. But none of that mattered, because Sessions, a former U.S. attorney and Alabama attorney general, believed he needed to recuse himself from the Mueller probe into allegations that Trump "colluded" with Russia. According to various reports, Sessions believed he not only had a legal and ethical obligation to do so, he also believed his recusal would be politically beneficial to the president because it would protect the integrity of the investigation. This view was shared by Trump's most reliable loyalists, many of whom claim to be passionately committed to the "Trump agenda." But whenever that claim is put to the test, they reveal they are more committed to Trump himself. Jeanine Pirro of Fox News railed against Sessions, calling him a "shill" and hectoring him to "resign immediately" or "put on his big boy pants." Liberty University President Jerry Falwell Jr., who tends to define both conservatism and Christianity as personal loyalty to Trump, said that Sessions was merely one of those conservatives who "pretend" to be a "friends of conservatives and the faith community." He also said Sessions should rot in jail because, well, because Falwell is an idiot. This is all one piece of the broader tapestry of what Trumpism always boils down to when put to the test: a cult of personality. Support of the man is more important than support of anything else, including Trump's own agenda. I disagree with Sessions on quite a few things, but the notion that he isn't a conservative is silly. More importantly, the idea that he's not a conservative -- or a man of integrity -- simply because he wouldn't display blind loyalty to the president is grotesquely unconservative.